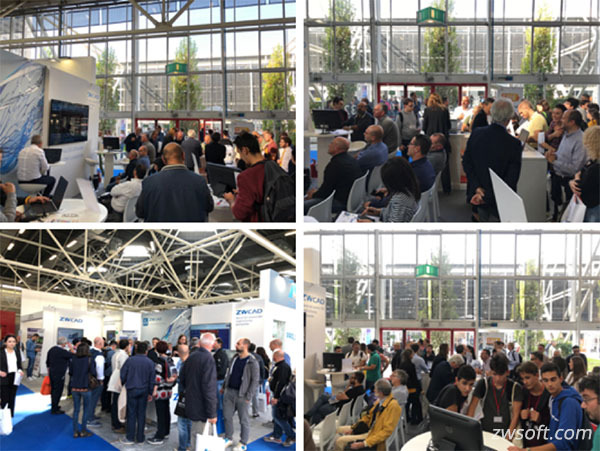 Bologna, Italy: October 22, 2018 – Thanks to the dedicated efforts of ZWSOFT’s Italian partner Wetech System, ZWCAD 2019 has been successfully showcased in SAIE 2018 held in Bologna, Italy, which is one of the most important architecture and interior design fairs in the world, and attracted more than 500 architects, designers and engineers who showed strong interests in ZWCAD. 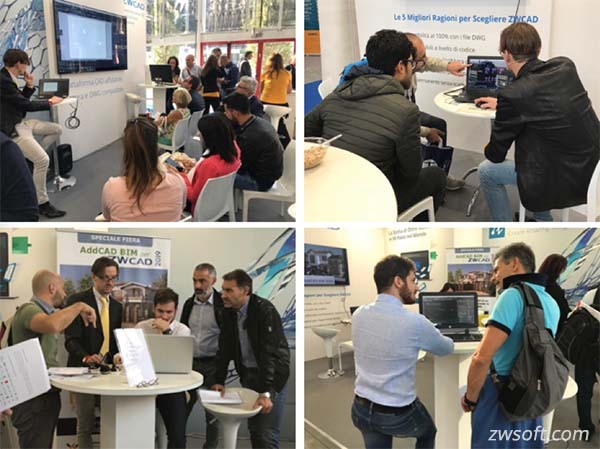 They have been fascinated about ZWCAD since everything is so friendly to them – in the test area, the new users get started without any problem because of the familiar interface and features. They also like its 100% .dwg compatibility, which enables them to continue their previous design work, and co-work with their colleagues seamlessly. 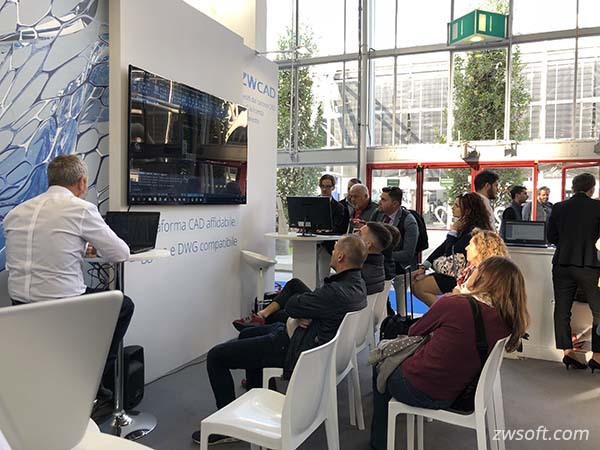 After watching the demo presented by the technicians, visitors showed particular preference towards PDF Underlay, the new feature in ZWCAD 2019, considering it beneficial to make the most of their PDF design drawings. Except for the powerful functions, the reasonable price and permanent license which can be upgraded whenever wanted drove many visitors place their orders on scene. 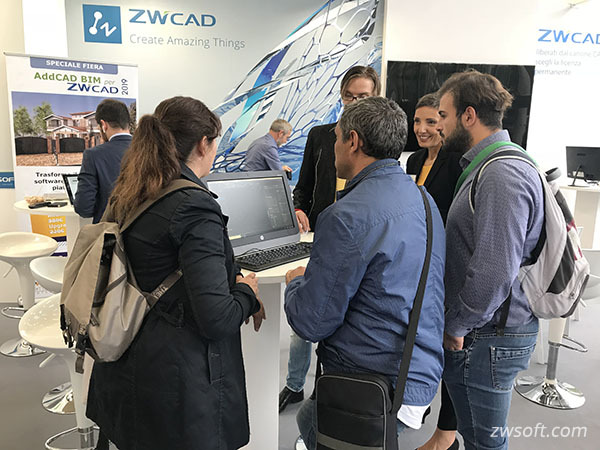 Another highlight worth mentioning is that Add CAD, which is a 2D/3D parametric application enabling 3D design in 2D CAD, such as creating walls, doors, windows, roofs and stairs on different floors of the building, has also been ported to ZWCAD 2019 and exhibited in the fair. As a BIM product with a notable increase in productivity and efficient achievement of results, details and quality, it also attracted many attentions. 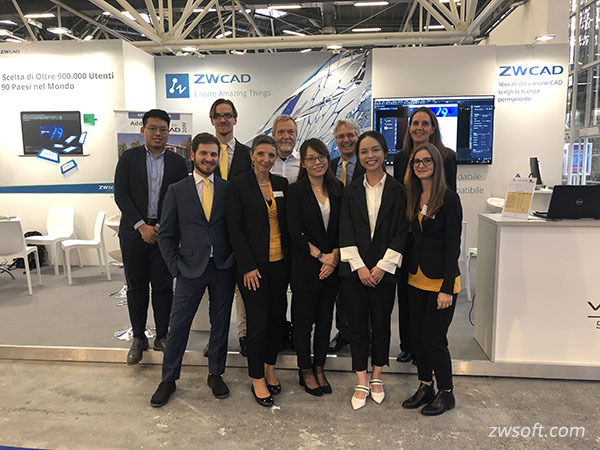 In accordance with the theme of SAIE this year as “Technologies towards Building and Built Environment 4.0”, ZWSOFT, a reliable and innovative engineering software provider, also strives to play a role in making people’s built environment better, and more sustainable.